Attorney General Jeff Sessions addressed the deadly school shooting in Florida calling it a "tragedy" and urging the country to "reverse these trends we're seeing in these shootings" while delivering remarks at a sheriffs conference in Washington, D.C. on Thursday. Sessions was addressing the Major County Sheriffs of America conference where he later discussed the nation's opioid epidemic as well as violent crime in the U.S..
"We are once again, watching the images of our children— terrified— streaming from their school with their hands above their heads. It's image we don't need to continue to see. 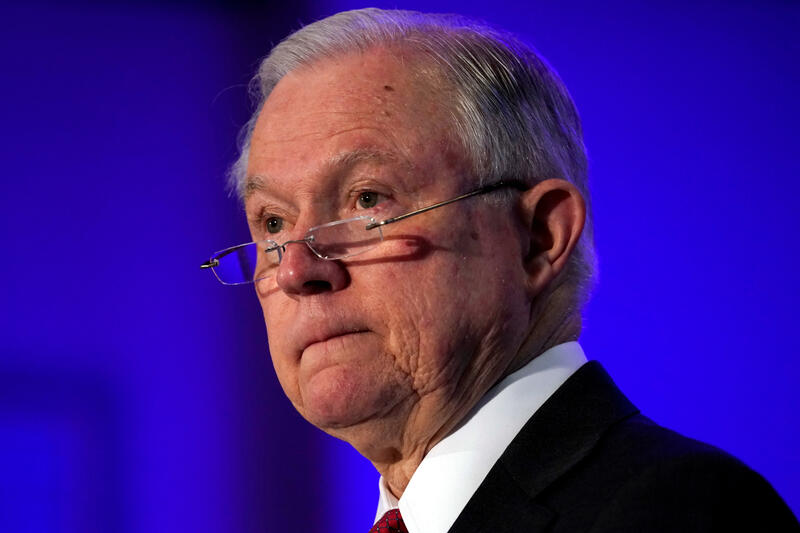 When parents, once again, go to sleep in fear that their kids will not be safe when they go to school," said Sessions. "We've got to confront the problem, there's no doubt about it," he said, adding, "It cannot be denied that something dangerous and unhealthy is happening our country." At least 17 were killed at Marjory Stoneman Douglas High School on Wednesday when Nikolas Cruz, a former student allegedly opened fire. Sessions noted that importance of early indicators of such crimes taking place, saying "every one of these cases we've had advanced indications and perhaps we haven't been effective enough in intervening immediately to deal with that." He added, "Perhaps we've seen that again in this case," pointing to Cruz's history of mental health problems. While not explicitly addressing gun control legislation, Sessions said an "effective enforcement of our gun laws, focusing on criminals and dangerous people, mentally ill people that have been, where we have legal ability to do so, can reduce violence in our communities and improve public safety." He added, "it's not good if we got gun laws that say criminals can't carry guns that never get enforced so we intend to enforce our laws and if anything the recent events have caused us to know we need to do even more in the future." Sessions told the sheriffs, "I think we can and must do better. We owe it to every one of those kids crying outside their school yesterday and all those who never made it out. Our hearts are hurting today."